Be sure to read our companion blog post about how our sales team also visited customers and partners from coast to coast. The first three months of 2019 have been full of hustle for the LlamaZOO team. We’ve criss-crossed the continent, showing off our Spatial Business Intelligence tech to potential customers and collaborators. We’ve all been invited to speak on a variety of panels about how resource and energy companies will benefit from Industry 4.0. Here’s just a short snapshot of all the things we’ve been up to in the past few months. 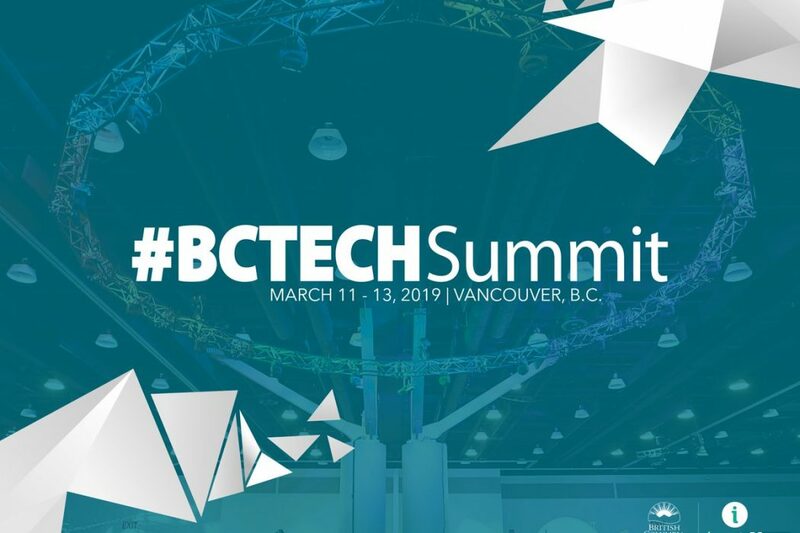 One of our most recent highlights was at participating in the BC Tech Summit in March. Held every spring at Vancouver’s amazingly beautiful (and high tech) Convention Centre, the BC Tech Summit is Western Canada’s largest annual innovation event. Thousands of members of the tech community attend the Tech Summit each spring, including startups and established tech companies like LlamaZOO, investors, inventors, influencers and government policy makers. 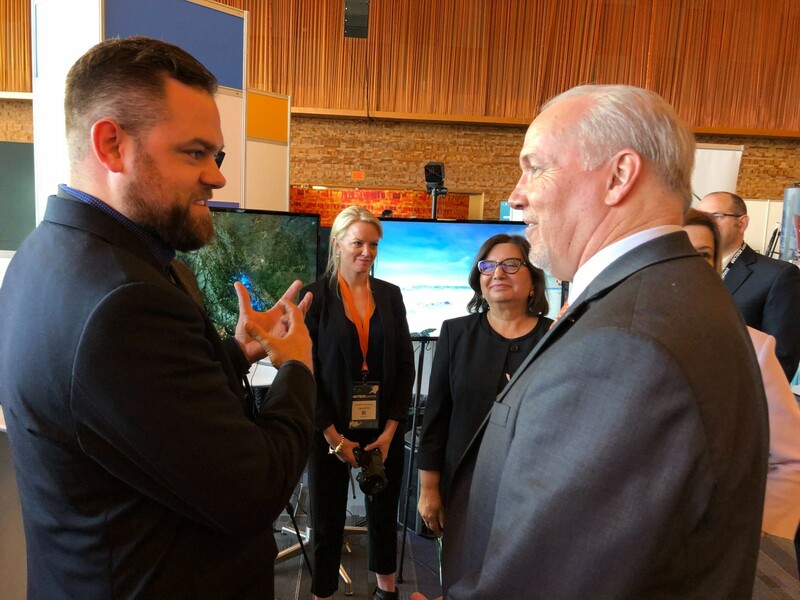 Caption LlamaZOO CEO Charles Lavigne discusses with BC Premier John Horgan at the BC Tech Summit how resource companies can use technologies to reduce costs and become competitive. 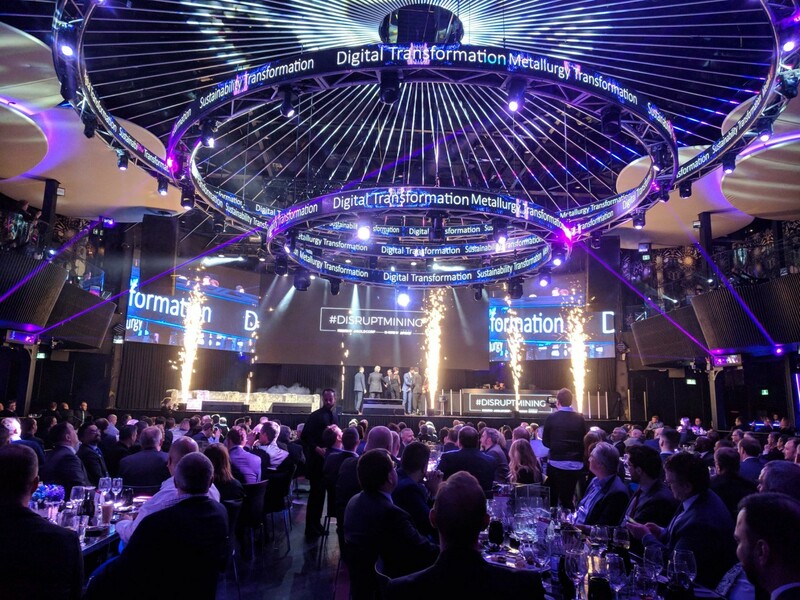 It was a chance for LlamaZOO to show off our suite of Spatial Business Intelligence solutions that liberate, fuse and visualize geospatial, engineering and IIoT data into actionable insights for resource companies. One of LlamaZOO’s Spatial Business Intelligence solutions includes Forest Ops 3D, a software solution that integrates and visualizes data to help timber harvesters accelerate the planning process and reduce costs. 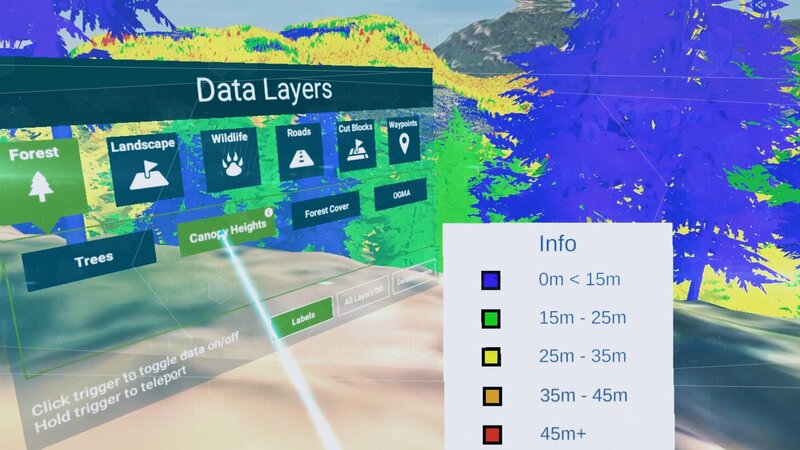 Most recently we have been working with the BC government to integrate lightning and wildfire data into Forest Ops 3D to create an entirely new software solution. 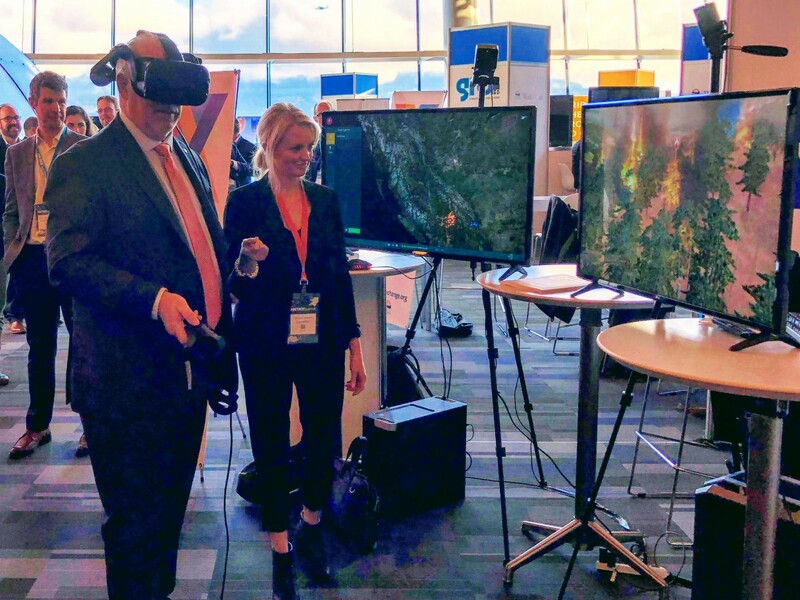 At the BC Tech Summit, LlamaZOO’s Christine Gossland demonstrates to Premier John Horgan how to use LlamaZOO’s Forest Ops 3D software solution, which helps timber harvesters accelerate the planning process and reduce costs. The Premier actually donned a VR headset to experience how Forest Ops 3D visualizes with wildfire and lightning strike data. Having the chance to introduce our technology to the Premier was one of the highlights of the BC Tech Summit. The innovative work LlamaZOO is doing with resource companies has received a lot of recognition by the BC government over the past few months. In January, LlamaZOO was just one of three tech companies highlighted in a new government report about innovation in British Columbia by provincial Innovation Commissioner Alan Winter. The report notes that LlamaZOO is addressing real-world challenges to help address the huge costs, time-loss and risks associated with site visits, training and maintenance in the resource sector. Recognition for LlamaZOO kept coming in over the past few months. 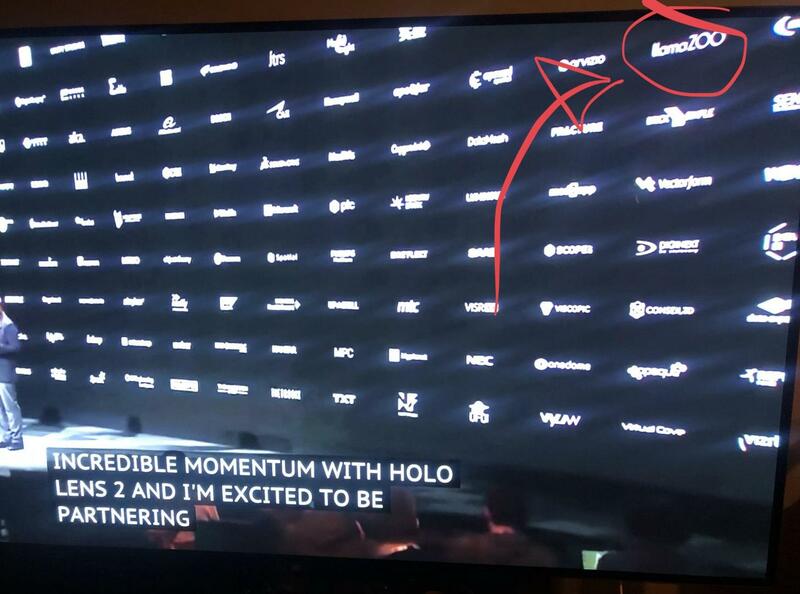 On February 25, Microsoft announced Hololens2, LlamaZOO Interactive was incredibly proud to be one of a select few global Mixed Reality partners. Charles speaks at the Natural Resources Forum about how the resource industry can free up data to generate spatial business intelligence. Over the past few years, LlamaZOO has often been invited to share our knowledge and expertise about the resource sector figure out the best ways to integrate technology and join Industry 4.0. In January, Charles was invited to speak at the Natural Resources Forum in Prince George about how the resource industry can free up data to generate spatial business intelligence. 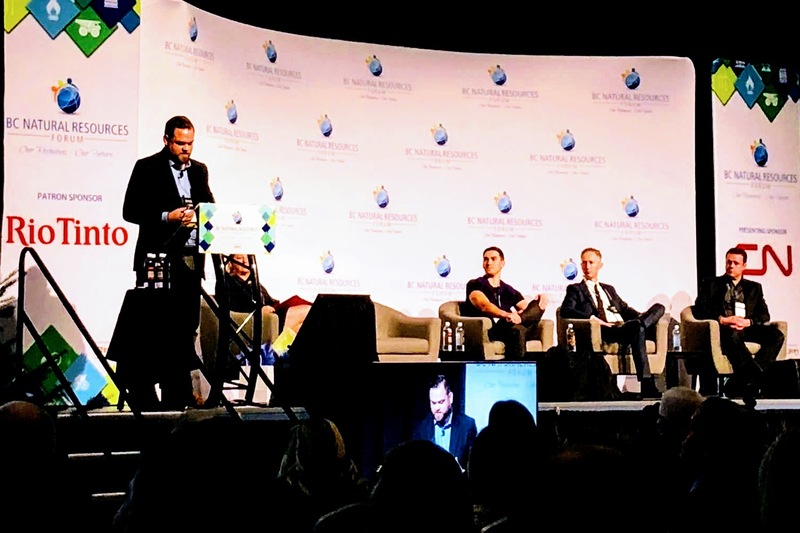 The annual Natural Resources Forum is one of the key business events of the year in BC, and attracts businesses and policymakers from across British Columbia and western Canada. 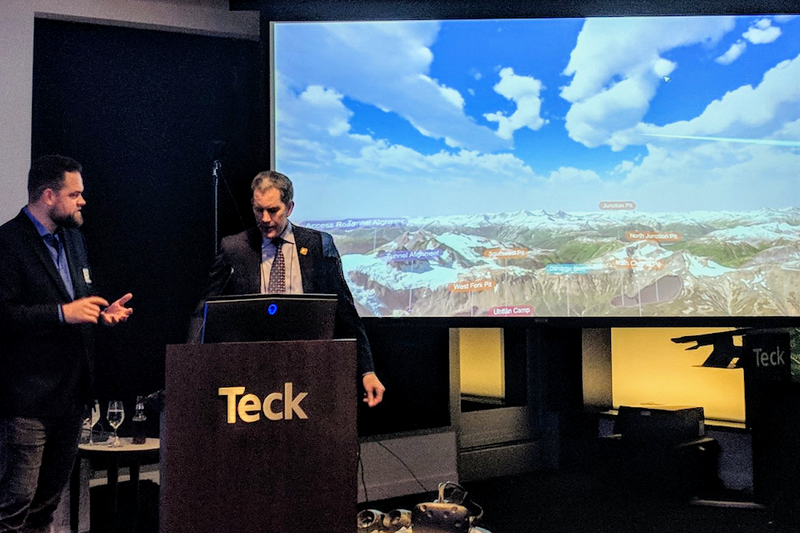 With this audience, Charles shared LlamaZOO’s experiences and insights from partnering and collaborating with Teck and other resource producers to find ways to use big data to improve productivity in mining operations. After the Natural Resources Forum, it was a quick dash back to Vancouver for AME Roundup. AME Roundup is an annual event aimed at exploration and drilling companies. LlamaZOO received a lot of love at AME Roundup in Vancouver: it seemed like everyone wanted to try out MineLife. At AME Roundup in Vancouver, we were once again sharing insights about how resource companies of every size and liberate their data to generate Spatial Business Intelligence. LlamZOO co-founder and VP Business Development Kevin Oke was invited to present about the practical applications of digital twinning in the mining industry. In March, Charles, Kevin and LlamaZOO Director of Sales Keith Stroughair traveled to PDAC in Toronto. Which is kicked off by #DisruptMining an annual business competition which aims to encourage new ideas, spawn new technologies, and generate new opportunities to tackle the mining industry’s most vexing challenges. A year earlier, in 2018, LlamaZOO was a finalist in the #DisruptMining competition, where we pitched MineLife, our software product that enables companies to represent a mine plan from exploration to reclamation in an interactive 1:1 scale using virtual reality. This year, as alumni, we demoed MineLife before a crowd of over 500 investors and mining executives. #DisruptMining actually kicks off the Prospectors and Developers Association of Canada’s (PDAC) annual convention in Toronto. 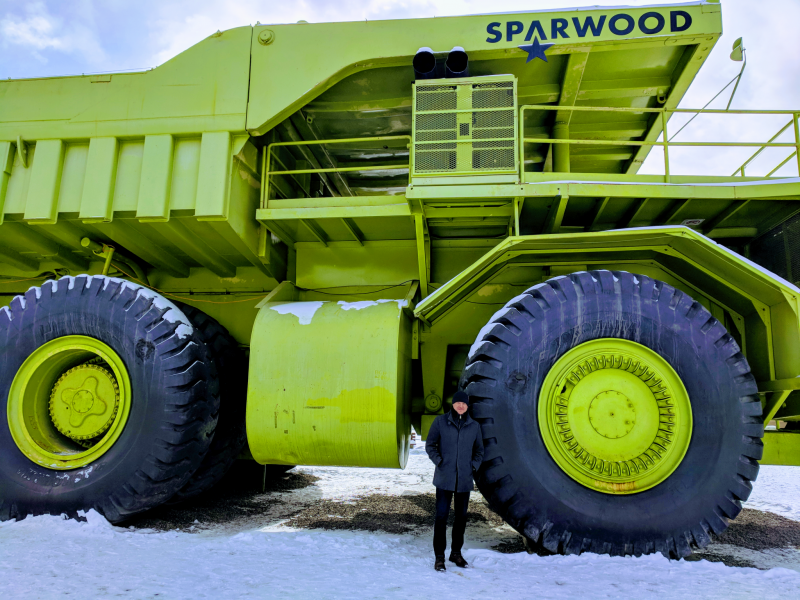 LlamaZOO spent the week at PDAC, where we connected with mining companies about big data, digital twinning and Industry 4.0, with demos at the Teck, ESRI, and Amazon booths. Kevin pitches at District Ventures Demo Day in Calgary. 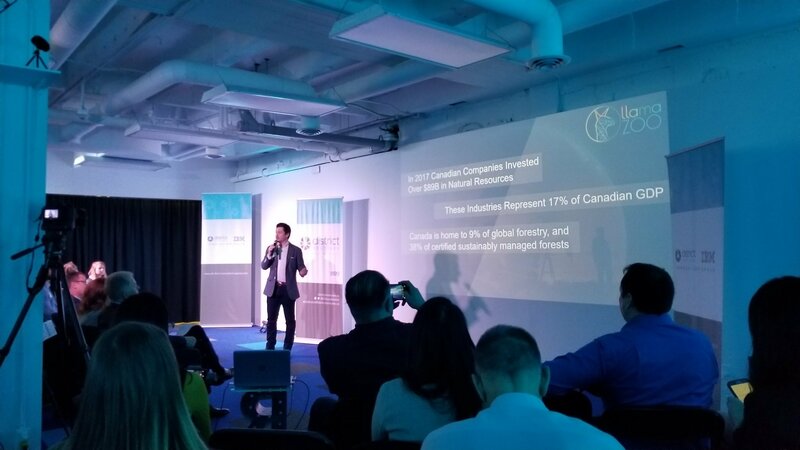 Earlier in January, LlamaZOO had the chance to pitch at District Ventures Demo Day at the IBM Innovation Space in Calgary. It’s been a great experience working with Arlene Dickinson and the District Ventures Accelerator to demonstrate how LlamaZOO is changing the way the world sees data to provide industries with opportunities to grow their business. Over the past few months the LlamaZOO team has spent a lot of time connecting with businesses in the forest industry to demonstrate how LlamaZOO’s solutions can help make forestry planning more efficient. Christine Gossland led LlamaZOO’s efforts at the annual Association of BC Forest Professionals (ABCFP) annual conference in Kamloops in February. Thanks to Christine, LlamaZOO was able to introduce a lot of forestry professionals and provincial land managers to Forest Ops 3D. LlamaZOO is also collaborating with provincial land managers on projects to integrate lightning strike and wildfire data into our software platform. We’re working with a BC government Integrated Data Division’s recently developed a prototype API that will allow the visualization of real-time simulated weather data including lightning strikes and wildfire points. 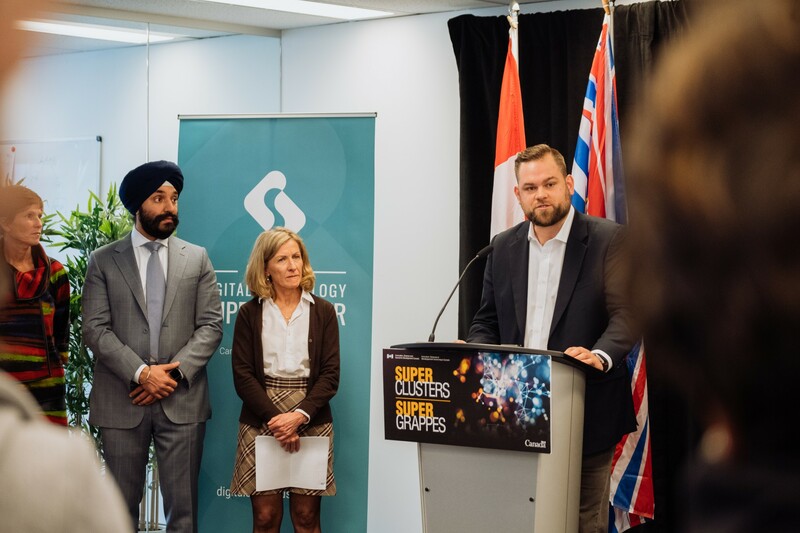 In March, Charles attended the launch of the first cohort of Digital Technology Supercluster projects in Vancouver. Federal Minister of Innovation, Science and Economic Development Navdeep Bains announced the launch, as well as the Digital Technology Supercluster leadership team, and LlamaZOO’s Supercluster partners tech company peers. 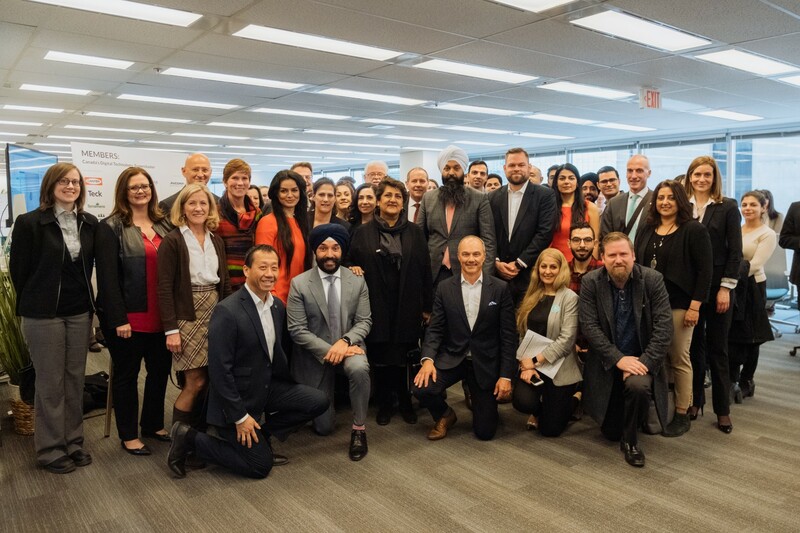 Minister of Innovation, Science and Economic Development Navdeep Bains with Digital Technology Supercluster members. LlamaZOO is proud to be partnering in one of the very first projects in Canada, the Learning Factory Digital Twin. We’re applying our digital twinning expertise to help optimize the aerospace manufacturing process. This is an exciting new project with new developments almost every day, so stay tuned for more news going forward! Be sure to check out our follow-up blog post that highlights the hard work Kevin, Keith and Christine have put into reaching out to businesses and communities about how Spatial Business Intelligence can help connect and engage communities and make operations more efficient. If you have any questions about what we’ve been up to, or if you want to work with us, contact us and let us know! We’d love to hear from you.